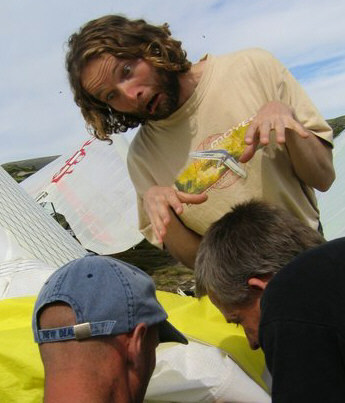 Rumours have it that # 1 acro hg pilot in Norway, Jon Gjerde, tucked while spinning his glider today. In addition, Jørgen “Speedwing” Kjellberg got his car more or less demolished after being hit by another car after having parked his car beside the road to help Jon after he landed safely under his emergency chute. Jon “Kanon” Gjerde, photo: Robin Strid.